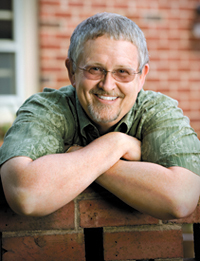 In honor of the anticipated release of Ender’s Game, based on the best selling book by Orson Scott Card, I’d like to discuss another book of his. It also happens to be one of my favorites. The Lost Gate is a fantasy adventure novel that tells the story of Danny, a member of the old and powerful North family. They also happen to be the descendants of the great Norse gods of legend. Or rather, they inherited their roles, as well as their abilities. Danny, after years of believing he had inherited nothing from his ancestors, soon discovers that he has the same abilities as the trickster Loki–who was banished for closing the gate between Earth and their home world of Westil years and years earlier. Because of this, the great families of legend, including those of Greek mythology, have lost much of the power they once had. Because he is a gatemage, like Loki, Danny would be immediately killed if others found out; so he escapes the secluded family compound and ventures into the human world, to which he’s never been before. He has no other plan except to find his own way in the world, and learn to control this rare and powerful gift. It becomes a bit harder then he expects. The way Card reveals the story is intricate in it’s design, albeit a bit confusing at times. He jumps back and forth between characters every couple of chapters, simultaneously telling Danny’s story on Earth, and the story of Wad on Westil. Both stories are happening at the same time, but there are moments when Card jumps back to reveal a character’s or place’s history, and it becomes hard to keep track of at times. But the way the two are woven together in order to create the plot is what really proves Card as a storyteller. Wad’s character acts as a foil to Danny, despite the occasional similarities that pop up. Generally, his Westil story is more fatastical, reminding me of a classic medieval fairy tale. Along the same note, it’s also a lot darker, and drips with the same aspects as the Game of Thrones. While Danny is mischevious, funny, and energetic, Wad is quiet, secretive, and generally more mature. Both have their strong and weak points, just as their stories do. But they differ enough from each other that comparing them is much like comparing apples to oranges. The way the two overlap each other allows for the reader to discover things that Danny or Wad don’t know, and brings a lot of drama and suspense to the book. Yet, even after all of the surprises near the end of the book, it doesn’t end the way you suspect. The Lost Gate is only the first in a series Mither Mages, the next of which has just been released this year. Overall, I love the page-turner the story turned out to be. I love the characters and the two fantastic worlds they reside in, even if the history can become a little confusing at times. The way Card designed the story line is extrememly beneficial to the storyline and its characters, and I hope he does the same thing in the next installment. I honestly can’t wait to read more about the Mither Mages world, both on Earth and on Westil. This entry was tagged book, book review, Danny North, Ender's Game, Norse mythology, Orson Scott Card, review, The Lost Gate, Westil. Bookmark the permalink. Great review, now I have to add this to my neverending to-read list.